1. 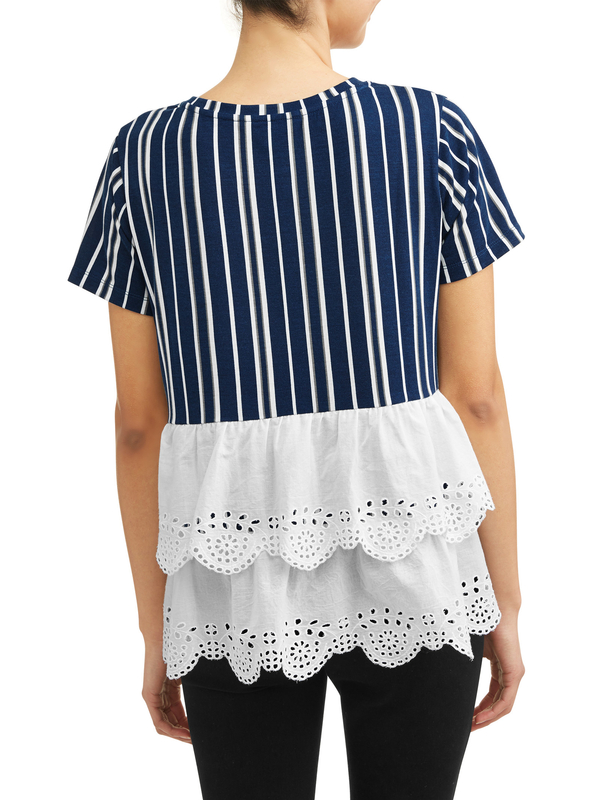 A funky printed tee with an extra surprise in the back — lacy ruffles. 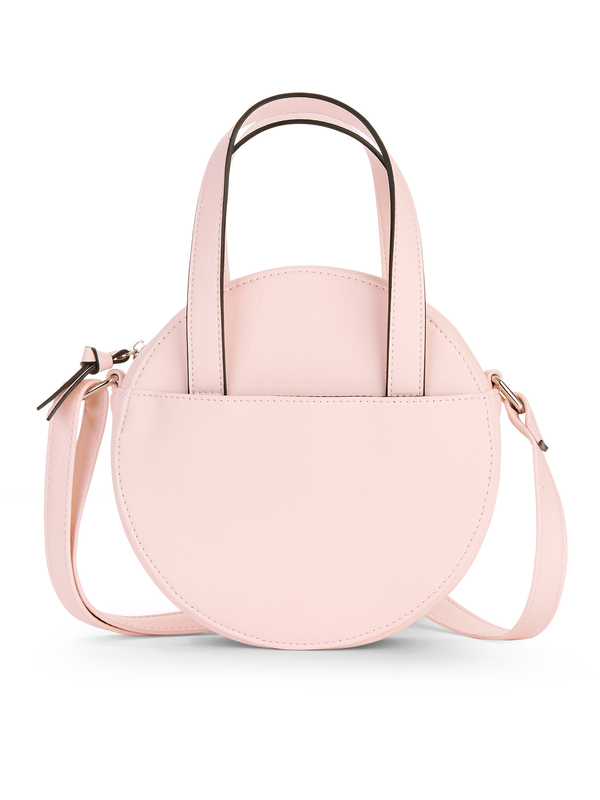 If I bought this, I'd treasure it and be careful who eyelet borrow it. 2. A flower- and leaf-printed romper to take your wardrobe on a tropical vacay. 3. Circus by Sam Edelman studded slide sandals that'll be equally cute with jeans, shorts, and dresses. 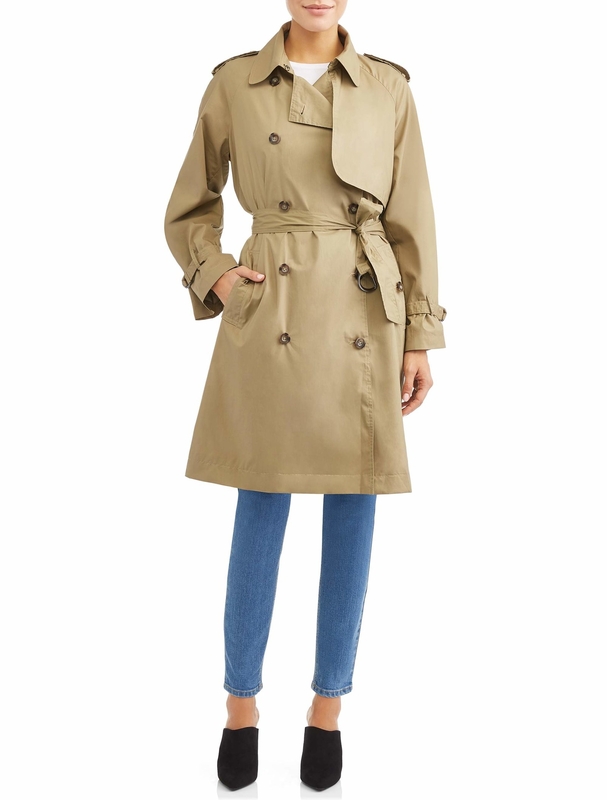 I personally love this brand! 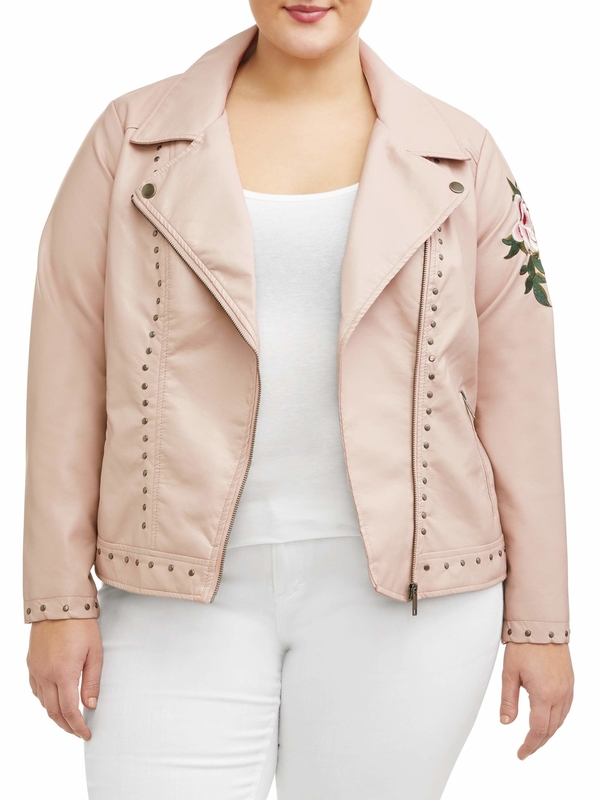 You get all the chic of popular shoe designer Sam Edelman's usual stuff, but with a lower price tag and, often, with animal-friendly (read: non-leather) materials! I have two pairs from this line and they're both super comfy, though I do find that they run big. 4. 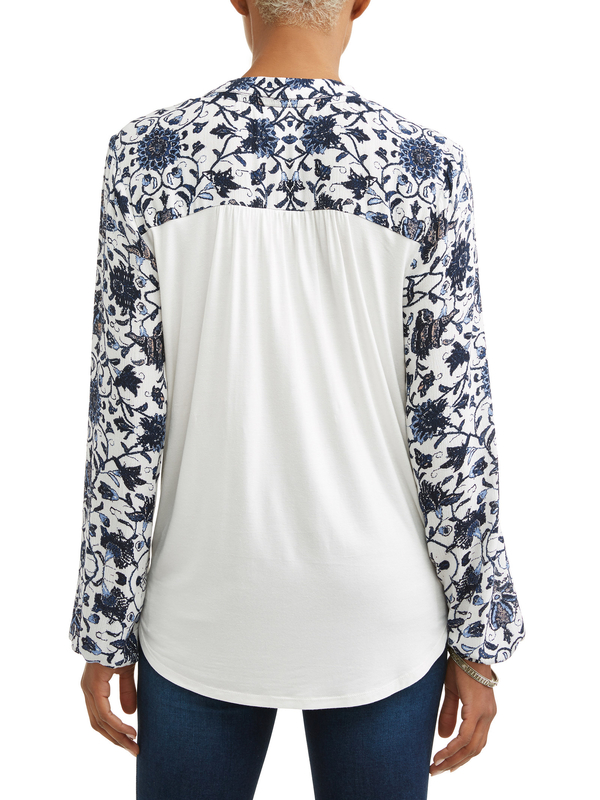 A dolman-sleeved, open-back sweatshirt from Sofía Vergara's clothing line for a stylish upgrade on your basic casual wear. 5. 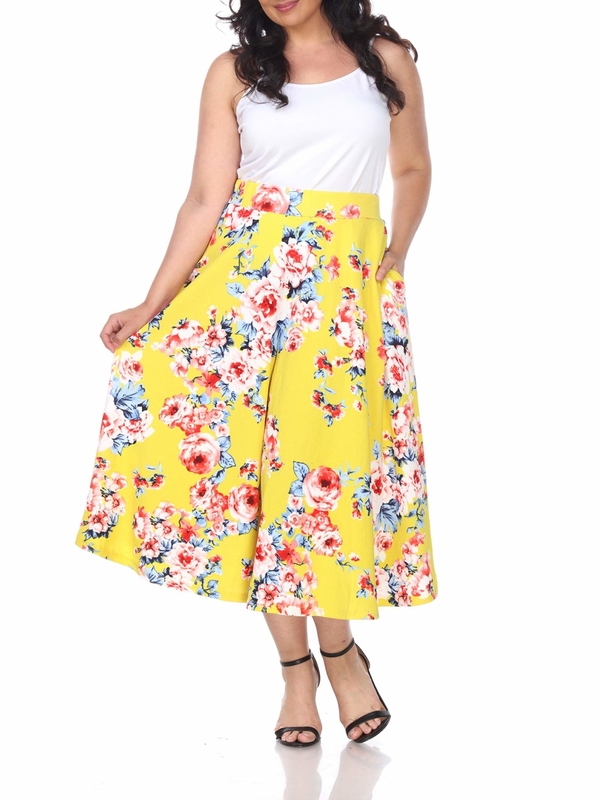 A twist-front floral sheath dress you can rock from work to happy hour. 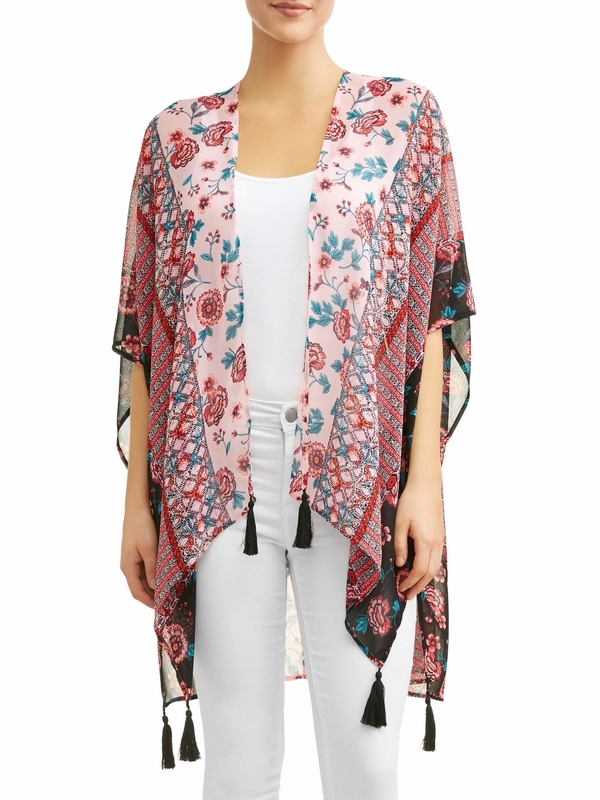 I'd love to see this baby paired with a statement necklace! 6. A rainbow striped jacket so you can paint with all the colors of the wind(breaker). 7. A cool camo weekend bag from Ellen DeGeneres' Walmart line that won't ~blend in~ with all the neutral totes at the airport or gym. 8. 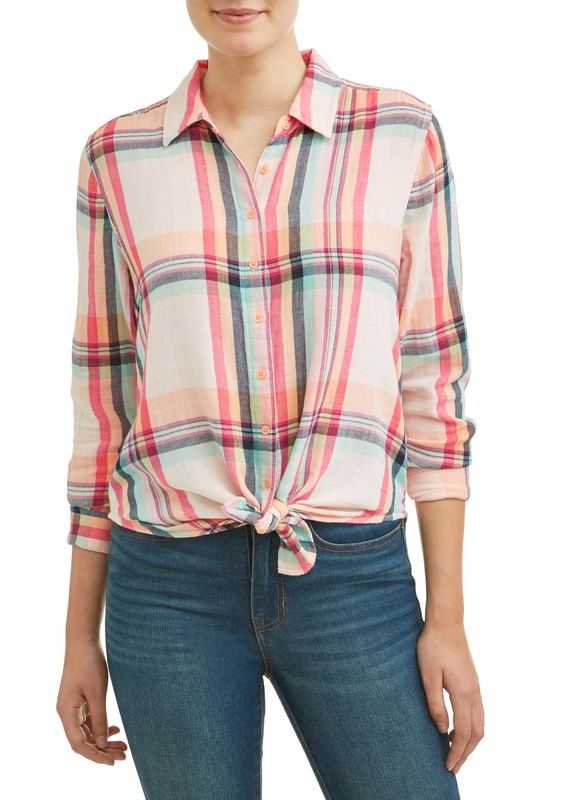 A lightweight cotton shirt you may never want to take off. Weeks may pass, and it'll still be on your body. I do recommend washing it sometimes, though 😅. 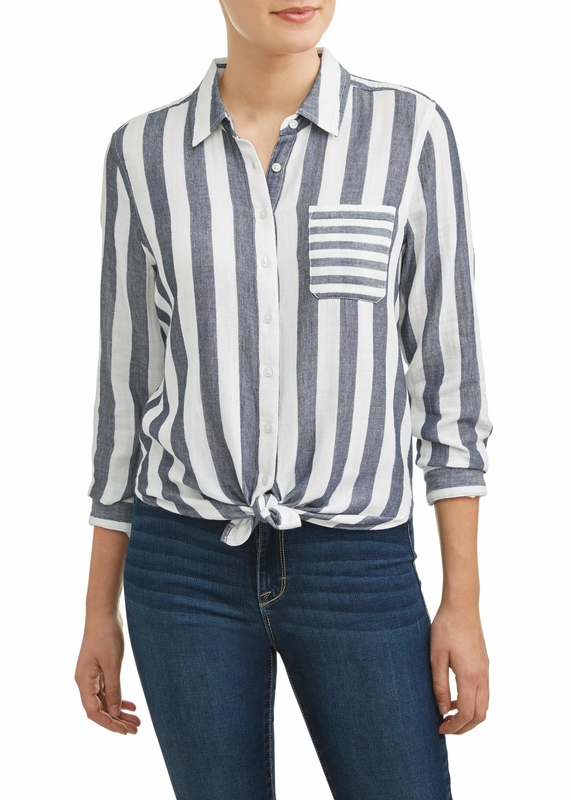 Also btw, the knot in the front is just one styling option — it can be worn without it like a classic button-down. 9. Cutout peep-toe booties for anyone who loves warm weather and ankle boots equally and wants to sport their favorite kind of footwear even when it's hot. 10. An adorable gingham romper that ~checks~ off the most important criterion for any garment — POCKETS. Check out more cute rompers to wear this spring and summer. 11. 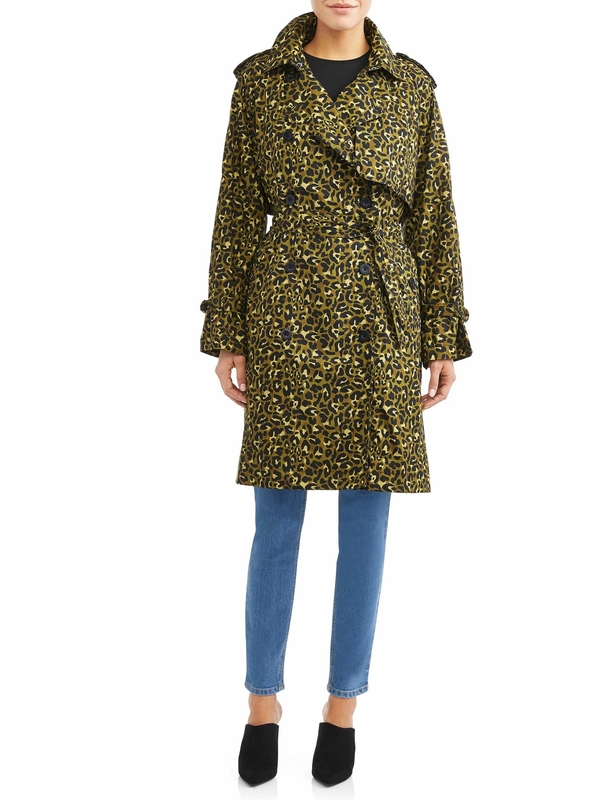 A classic spring trench, available in a solid neutral or bold leopard print so you can top off every outfit purrrfectly. I would fully support you buying both, btw. 12. OMG-worthy Circus by Sam Edelman "Queen Bee" espadrilles for anyone who will stan Blair Waldorf, Beyoncé, or both until the day they die. 13. Bright rope drop earrings that'll ~tie~ together any spring look. 14. Patchwork jean shorts you'll rock all summer long. 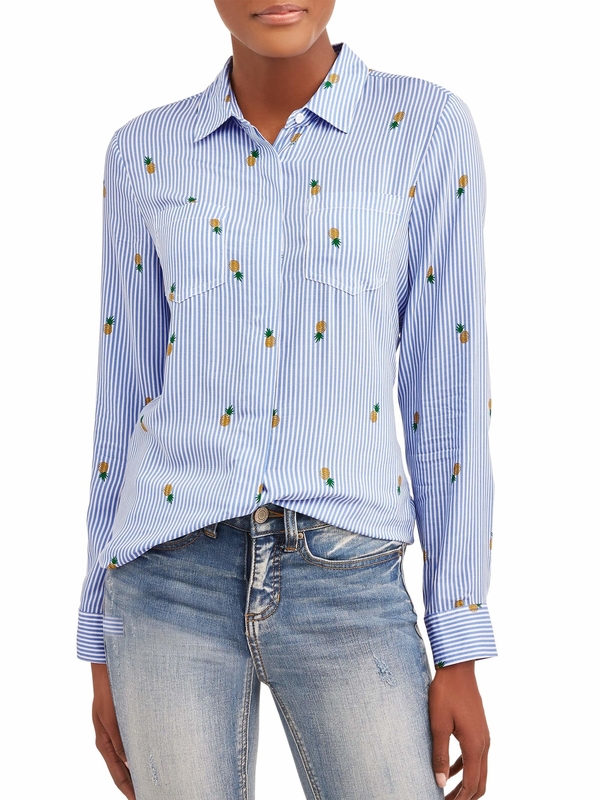 These are also from Ellen DeGeneres' line! Reviewers say they run a bit large. 15. Fun tie-waist shorts that might send your old Daisy Dukes into retirement. They'd also be cute dressed up with heels! 16. A high-neck plaid dress just begging to be paired with your favorite booties or sneakers. 17. 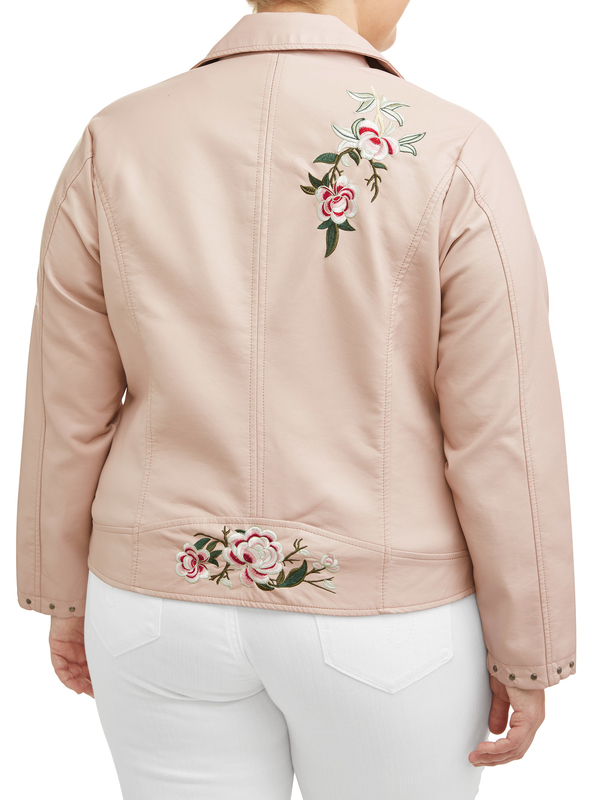 An embroidered and embellished moto jacket perfect for those spring days when you can leave your big coat at home, but it's still a little chilly. 18. Glam art-deco inspired earrings that wouldn't be out of place at one of Jay Gatsby's parties. Just keep them (and your host) away from the pool. Was that joke too dark? 19. 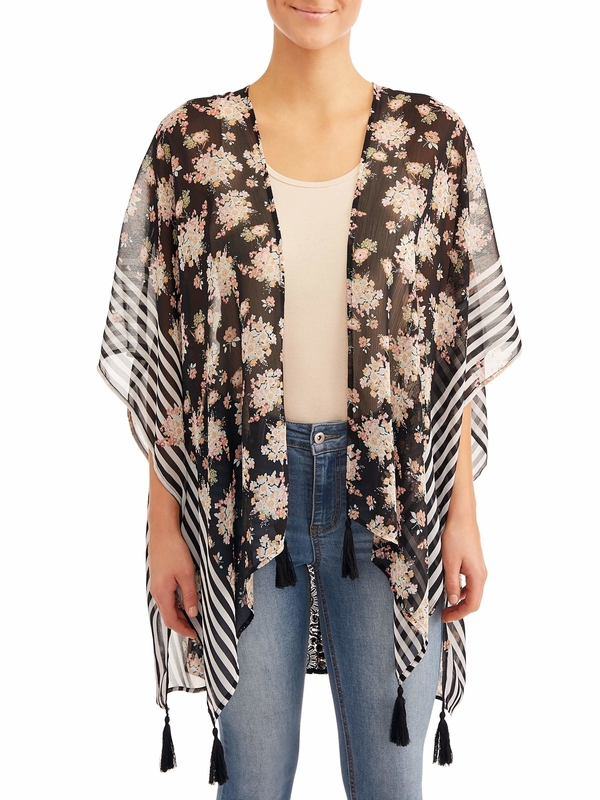 A tasseled, mixed-print, kimono-style topper you can toss over everything from jeans to a bikini. 20. A gorgeous lace LBD with bell sleeves sure to make you the ~bell~ of the ball. 21. 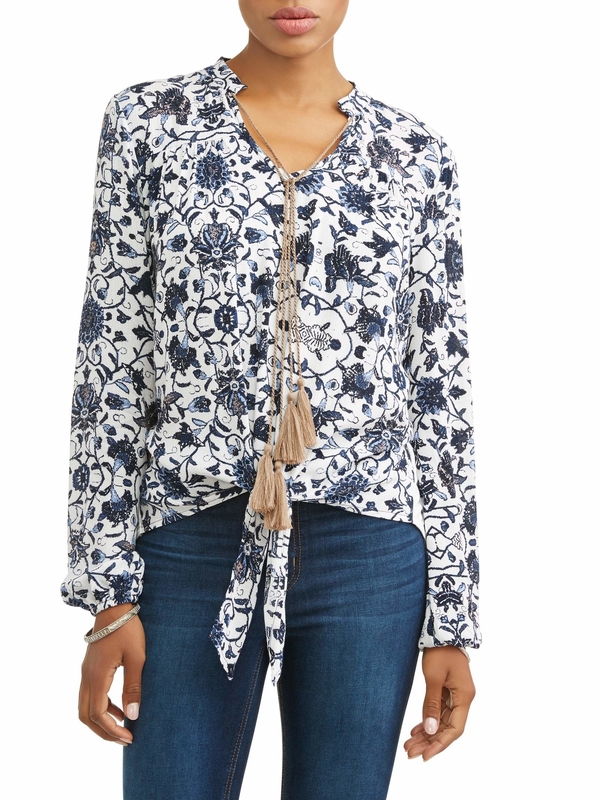 A chic printed blouse that could pass for something from a designer label. 22. A sleeveless top with twist front and cutout shoulder details you can pair with a blazer for work or jeans on the weekends. 23. 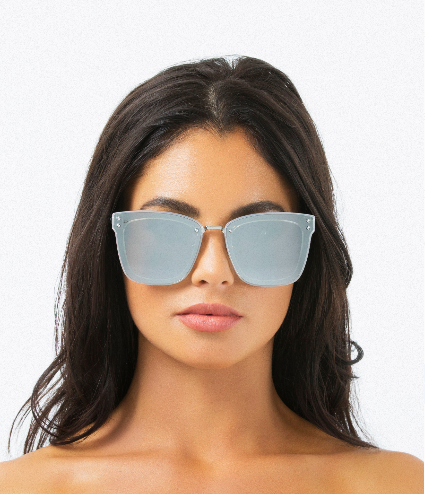 "The Nasty Woman" polarized sunglasses by fan-favorite eyewear brand Prive Revaux, which are sure to make you feel like a total badass. 24. A striped cutout jumpsuit absolutely no one will believe was under $10. You may as well buy in multiples. 25. A strappy, printed one-piece swimsuit sure to have everyone watching as you dive in (to the pool). 26. A plaid mini skirt that's preppy perfection. 27. 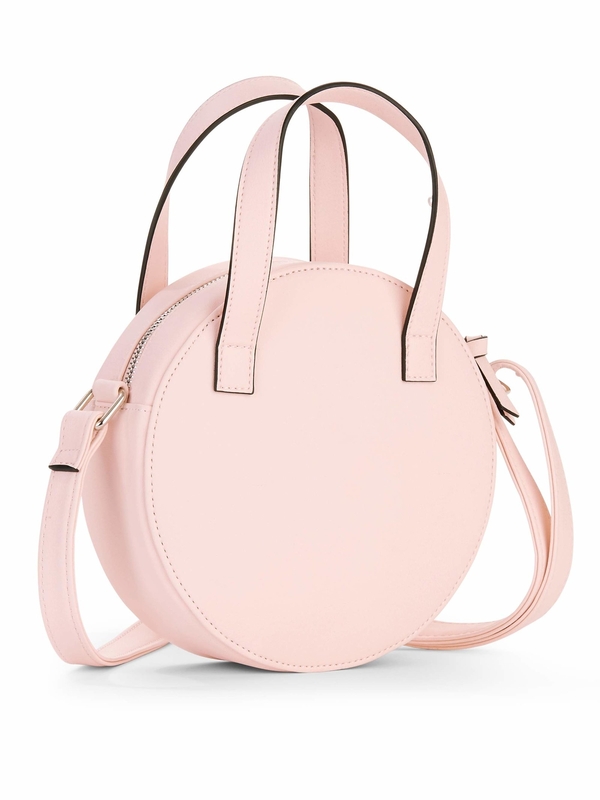 A trendy round crossbody so amazingly affordable, you'll want to pas-tell all your friends to get one. 28. 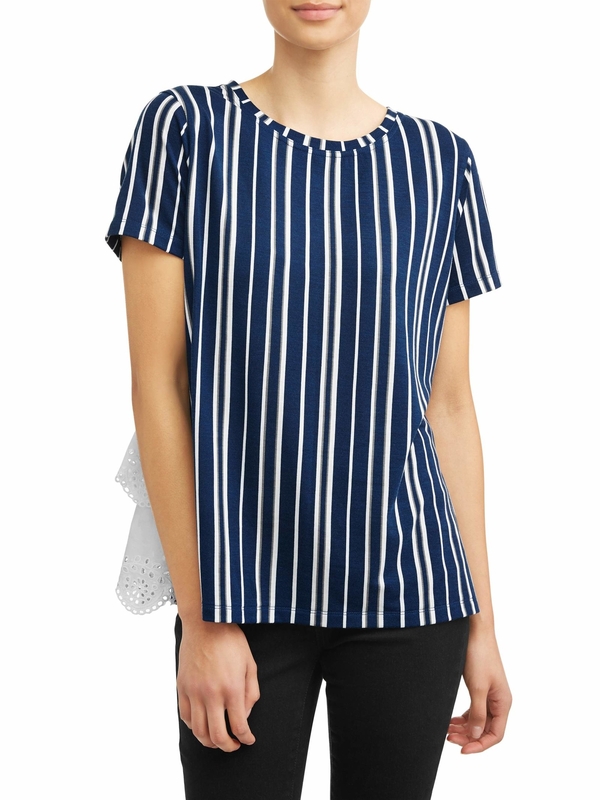 An off-the-shoulder top to help you earn your style stripes this spring. 29. 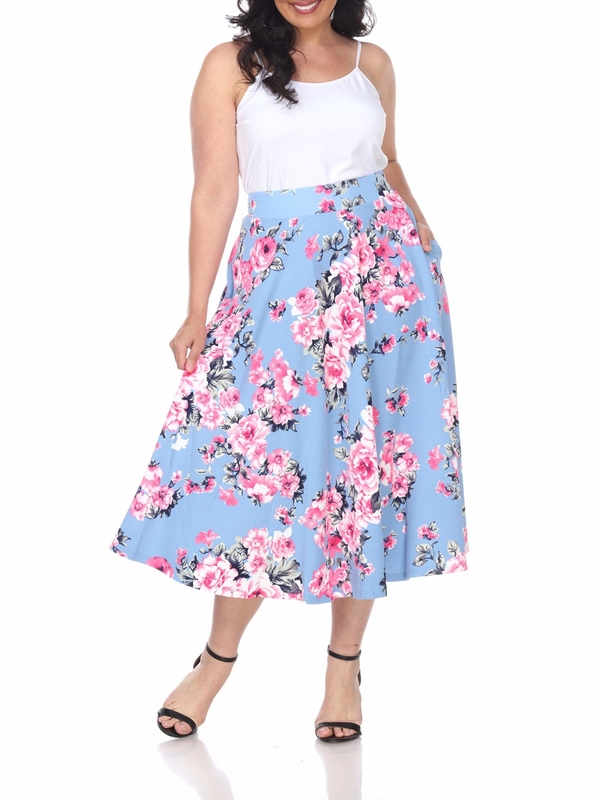 A flirty floral midi skirt with pockets that's sure to become your jean jacket's new BFF. 30. A paper bag waist jumpsuit featuring a cropped hemline that's ideal for showing off a great pair of spring shoes. 31. 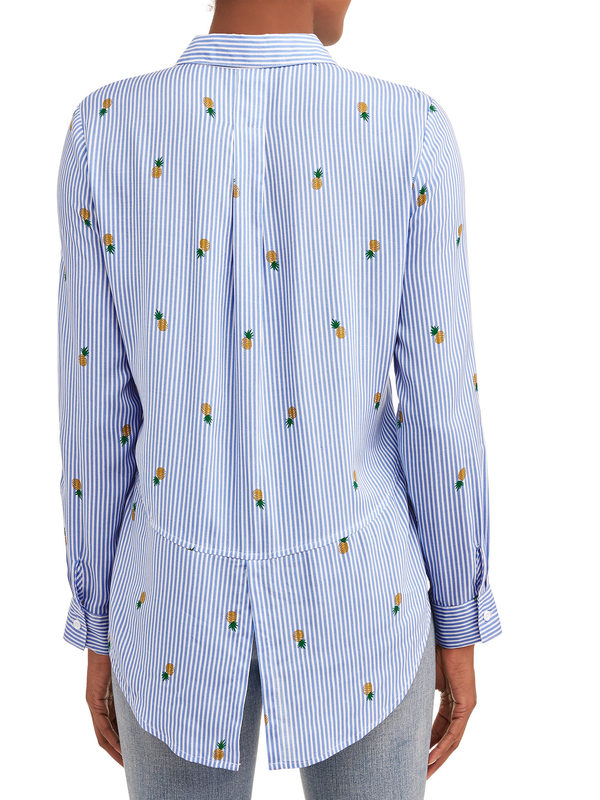 And pineapple printed high-low shirt for anyone who gets their style inspiration from the architecture of Bikini Bottom.